What should you do if you have missed an MMR vaccination for your child? An MMR vaccination is necessary for your child as it protects against three deadly viral infections mumps, measles and rubella. Mumps is a contagious disease caused by a virus that passes from one person to another through saliva, nasal secretions, and close personal contact. The condition primarily affects the salivary glands, also called the parotid glands with severe pain and swelling. A measles infection, on the other hand, is accompanied with high fever, rash across the body, cough, running nose and red watery eyes. The infection weakens one’s immune system and leads to serious complications that include blindness, encephalitis, severe diarrhoea and severe respiratory infections such as pneumonia. Most measles-related deaths are caused by complications associated with the disease. Rubella is a mild viral infection that occurs most often in children and young adults. This infection too is followed by rash and low fever. It may be associated with swelling of lymph node and joint pain. Now all these three diseases are preventable. 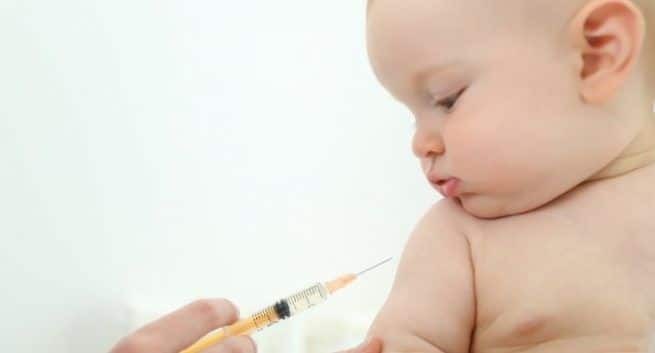 But many parents fear from giving their child this vaccination for a fear that some studies have inconclusively stated that MMR vaccination can lead to autism. But this is not true. In fact, the Ministry of Health & Family Welfare (MoH & FW) has initiated measles-rubella (MR) vaccination campaign in the age group of 9 months to less than 15 years in a phased manner across the nation. Every year in India nearly 2.7 million children get measles. The vaccination is given at 9-12 months and 16-24 months of age of a child. So, if you have missed giving your child this vaccination talk to your paediatrician to know what should be your next step and if your child still needs the vaccination if he/she is over two years of age. The Centers for Disease Control and Prevention (CDC) recommends that if your child has missed the vaccination it is better to give them the shot soon. Children should get two doses of the vaccine. The second dose should be given least 28 days after the first dose. More than 95 per cent of people who receive a single dose of MMR will develop immunity to all three viruses, according to the CDC. However, it is better to take all the shots to develop complete immunity. The only people who are advised not to take an MMR vaccine are infants below 12 months of age, pregnant women and people who have a compromised immune system. So, talk to your paediatrician to know how you can plan the vaccination doses.